Announcing a major update to the Microsoft CRM 3.0 SDK! Version 3.0.4 of the SDK contains the information you need with over 300 new topics and 40 new or updated diagrams. 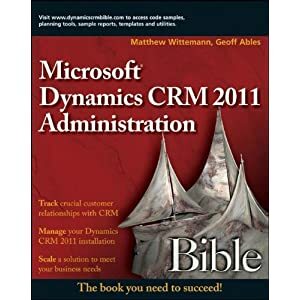 This latest version of the Microsoft CRM SDK includes the all new ISV Guide, which is aimed at independent software vendors (ISVs) who develop installable add-ons for Microsoft CRM. This guide contains the information and best practices you need to build a solution that you can package and distribute to customers. The Microsoft CRM Entity Model topics include many new diagrams showing the relationships between entities. These diagrams also include the link entities, which is important information for constructing queries. In the sample code folder you will find the source code to the tool used to generate these diagrams. This code is available in both Microsoft Visual C# and Microsoft Visual Basic .NET. The Programming Reference found in the Server Programming Guide contains a new section that details the import/export customization file. You can use this detailed information to verify your customizations or to write code to programmatically update the customization file. The Business Logic Extensions (Callouts) topic now includes documentation for the PreSend and PostDeliver methods. Use these methods to add custom code to e-mail operations. This topic also includes an updated callout Configuration File Reference, and new sample code for determining which entity attributes you can use in a callout. This release also includes new and updated sample code, updated information about IFRAMEs, a new topic in the Report Writers Guide, and much more!